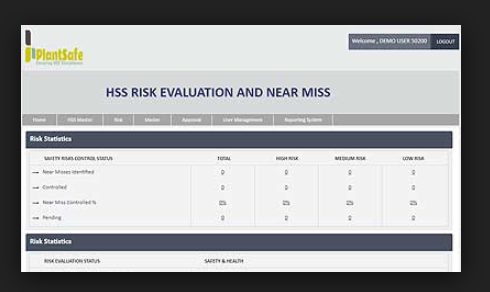 Designed as a location and area based system to help avoid the unsafe act, near miss and accident with action tracking and corrective action to provide unsafe condition and act reporting. Contact FirstOne Systems for pricing details. PlantSafe UCR is Comprehensive Integrated HSE Unsafe Condition Unsafe Act NearMiss Reporting Systems enables the UCR Reporting Area Based, Location Based, Multiple evidence Attachments being at onsite,Flexible Categories & Sub-Categories Based on Technical, Environment, People, Organization. Corrective Preventive Action tracking Possibilities of multiple action. Configurable Reporting System.